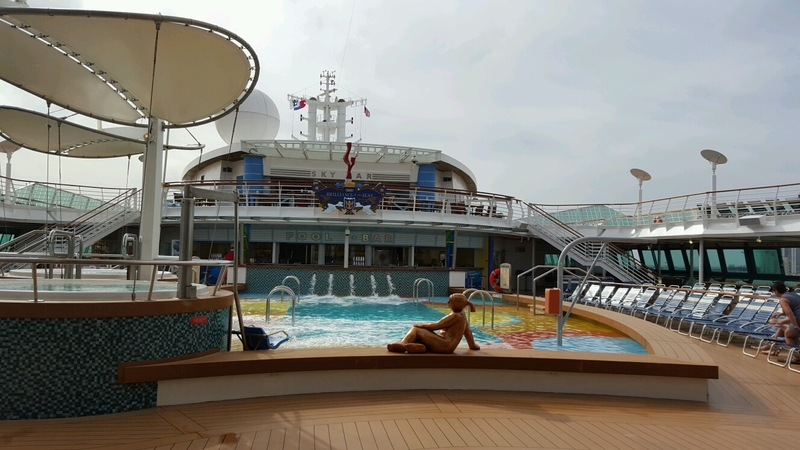 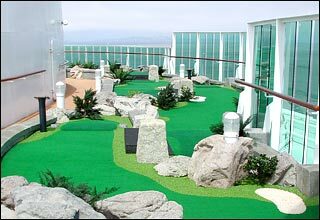 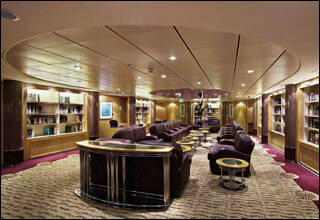 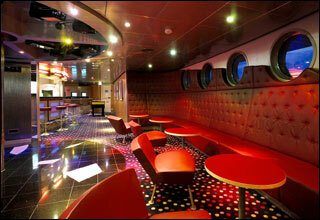 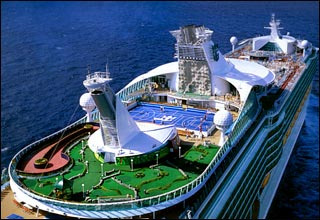 Deck 13 features the Viking Crown Lounge, rock-climbing wall, and putting green. 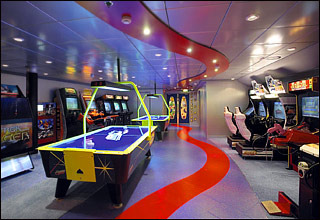 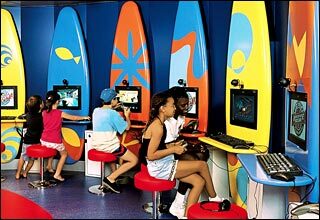 Deck 12 features the ShipShape Fitness Center, Seaview Cafe, Sports Court, teens pool, Adventure Ocean, kids pool area, golf & sport area, golf simulators, and game arcade. 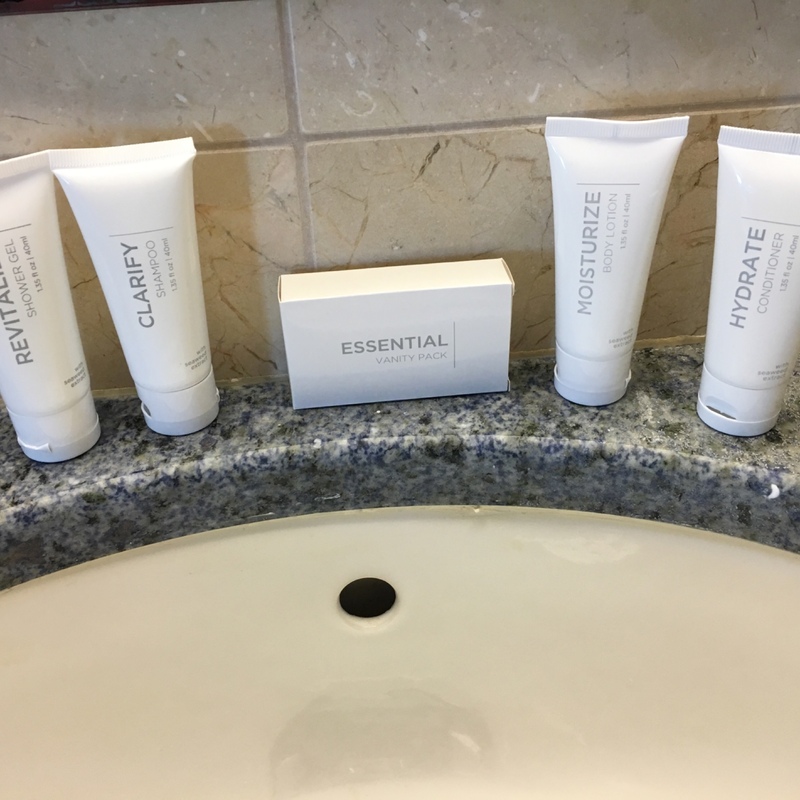 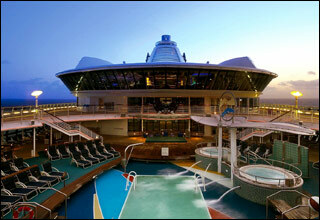 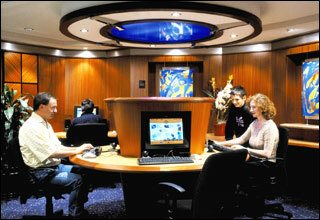 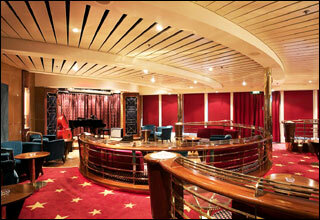 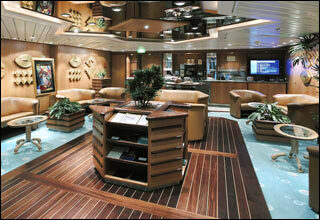 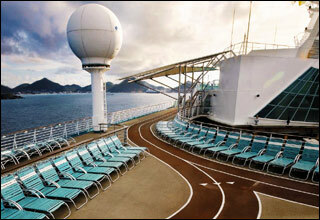 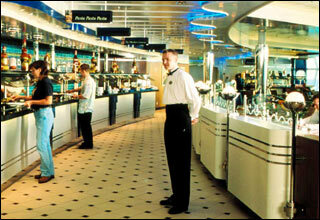 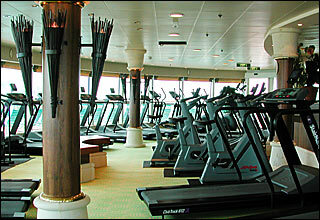 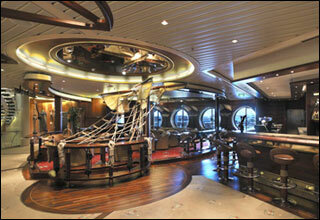 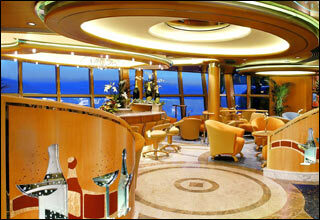 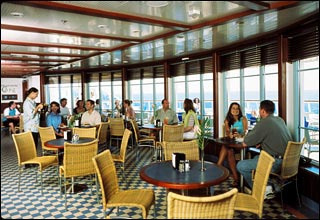 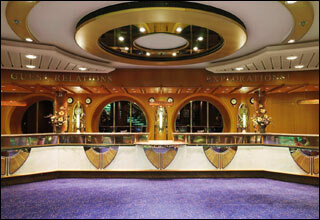 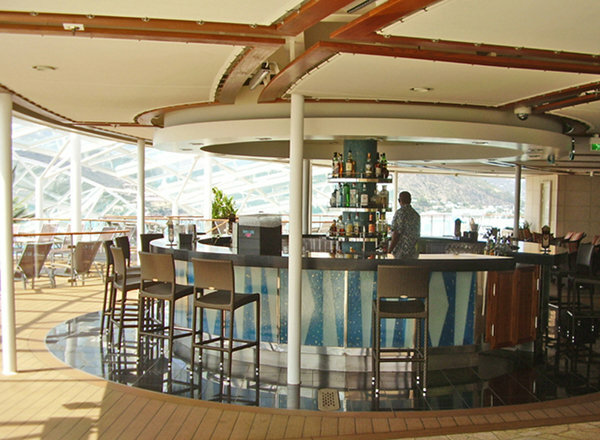 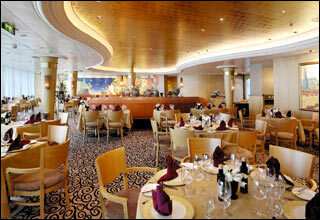 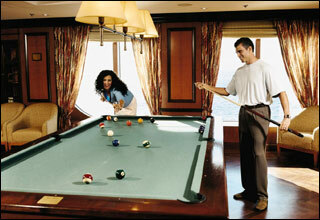 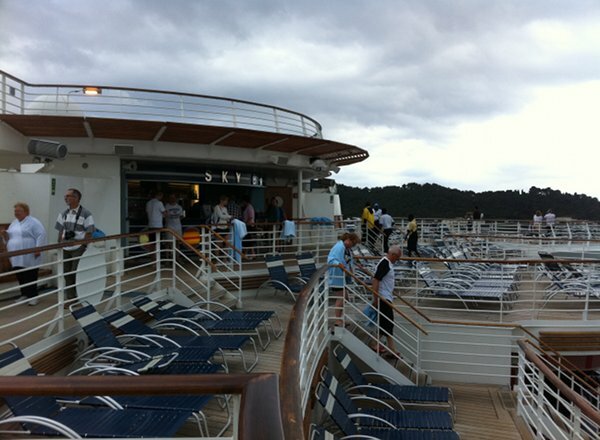 Deck 11 features the ShipShape Spa, Windjammer Cafe, swimming pool, whirlpools, Solarium, and hair salon. 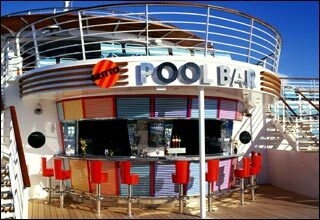 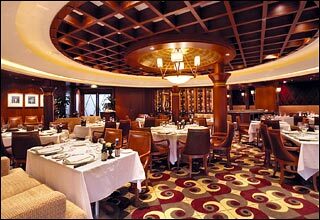 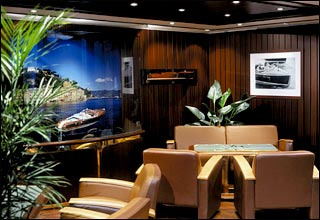 Deck 10 features staterooms in categories RS, OS, GS, JS, AW, D1, D2, E1, E2 and L, as well as the Yacht Club and Concierge Club. 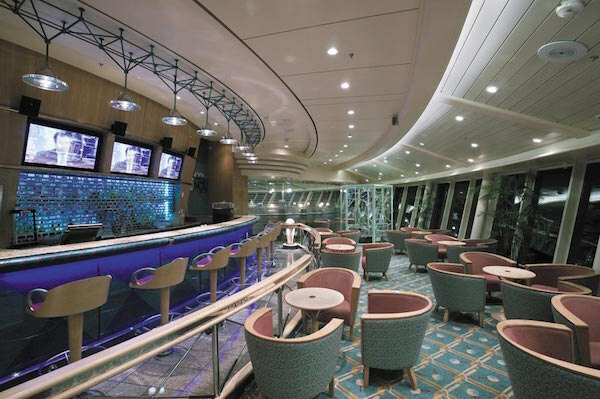 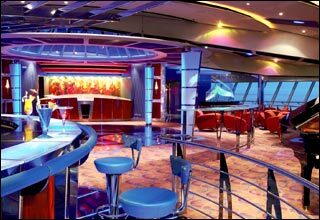 Deck 8 features staterooms in categories TS, D2, E1, E2, E3, FO, F, K, L, and M.
Deck 6 features the Pacifica Theatre, Chops Grille, Portofino, Casino Royale, Scoreboard Lounge, Champagne Bar, Schooner Bar, Bombay Billiard Club, Jakarta Lounge, the Colony Club, Singapore Sling's, Calcutta Card Club, and cinema. 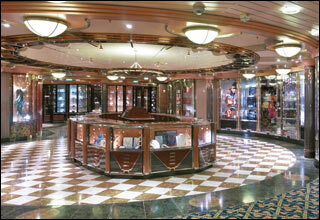 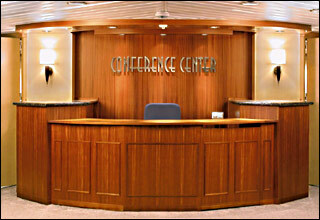 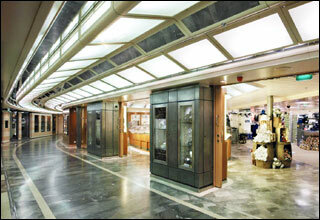 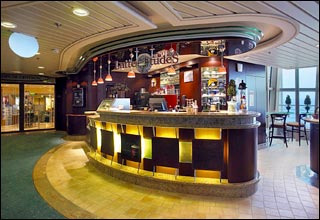 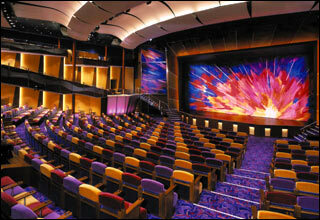 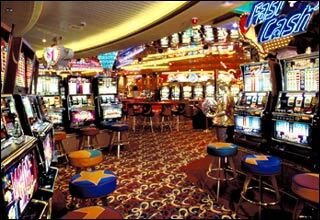 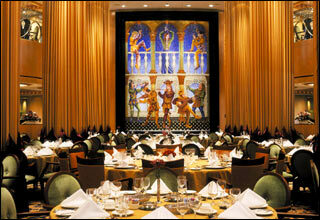 Deck 5 features the Pacifica Theatre, Minstrel, Latte-Tudes, art gallery, shops, photo shop, and the Centrum. 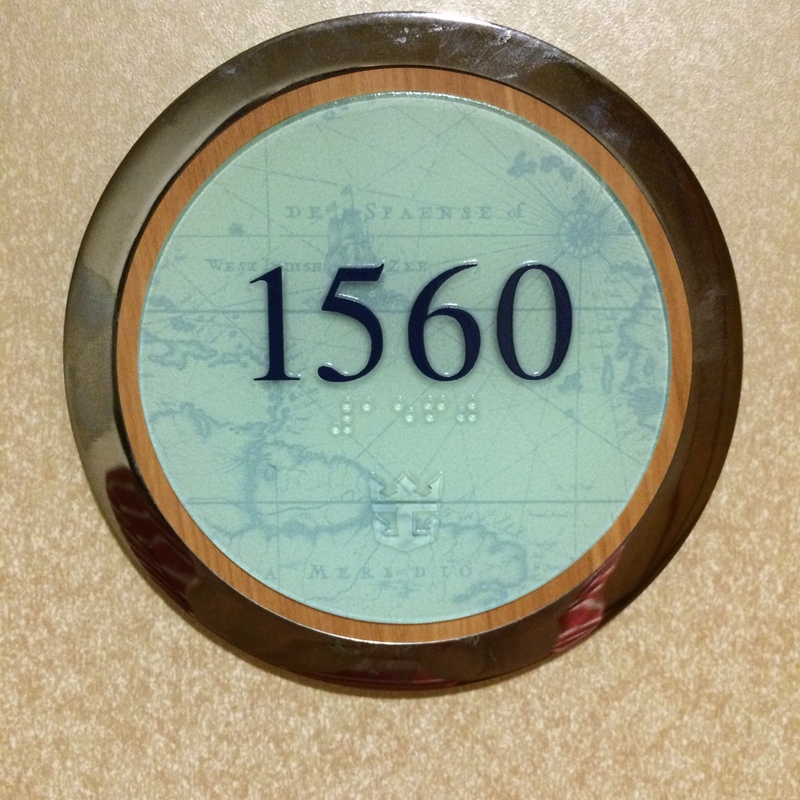 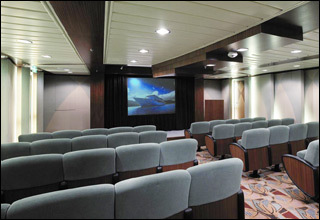 Deck 4 features staterooms in categories G, AY, K, L, N and AZ, as well as the Pacifica Theatre, Minstrel, Zephyr Dining Room, Royal Caribbean Online, and the lobby bar.